Becoming a general contractor has many perks. There’s the flexibility of your schedule, no meetings, and every few months you’re on to a new project. But before you can become a contractor, there are steps you need to take, including receiving proper training. To help you determine whether a career as a general contractor is for you, we’ve developed this guide. Here’s how to obtain your general contractor license. Before you can begin work, you’ll need to obtain a general contractor license. However, that’s more than one type of license you’ll need to obtain. You’ll also need to pay attention to the licensing requirements for your state. If you don’t get licensed and meet the requirements you could face fines. You might also be removed from your project without compensation or a client can refuse to pay you if you’re not licensed. There would be no recourse in that situation. Worse yet, you can put yourself and others in danger. Jail time is also an option. Make sure you get each license you need before you start taking jobs. Keep in mind that some states have dollar amounts which determine the jobs you need a license for. This includes the total cost of the job including labor, materials, and all other incidentals. In states where no dollar amount is listed, there’s no minimum or maximum. For example, a Class C contractor might be limited to working on projects of $10,000 or less. A Class B contractor might be limited to work on projects up to $200,000. A Class A contractor can work on projects of any value. You can also choose a specialty like appliances, cabinetry, concrete, flooring, heating, and ventilation, or plumbing. General contractors simply oversee the project while a specialist contractor would focus on their of expertise. Focusing on a specialty can open up a lot of avenues. You can even run a business like the one you’ll find on this website. Certain states require licensing. Others require registration. To obtain a general contractor license, you must pass exams and meet certain criteria which prove you’re reasonably qualified to perform the tasks of the trade. A registration is simply a written record of who is performing the work. It does not guarantee anyone is an expert or even competent to provide general contracting services. 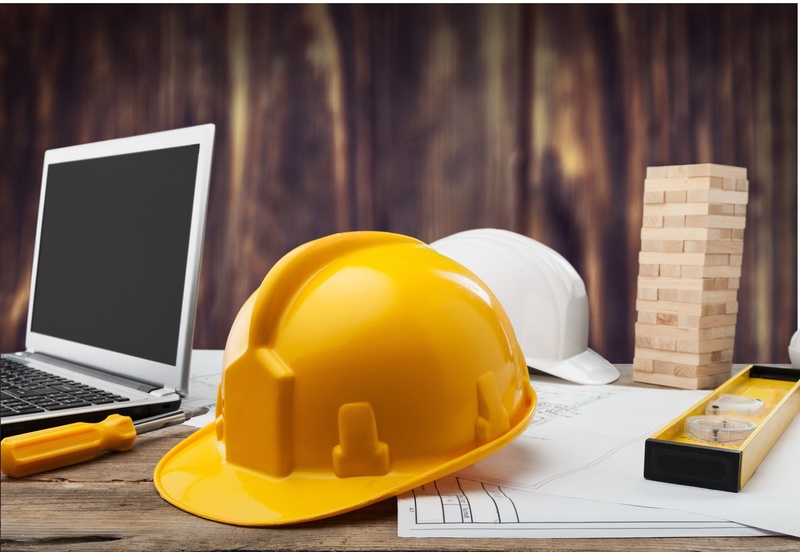 There are various criteria you must meet in order to get your general contractor license. Most states want to ensure you have a clean background and proven financial competency, including being able to maintain a bond against bankruptcy. In addition, you’ll need to be able to obtain workers comp and liability insurance for your workers. The ability to get and sign building permits is also something you’ll need to be able to do. Don’t forget you’ll need to form your business. It’s important to decide what type of business you want to form. If you plan on hiring employees, you’ll need an EIN number from the IRS. You’ll also need to prove you have a minimum amount of experience as a general contractor. Next, you’ll need to pass both business and trade exams. Often, all of this will require several months to complete. Before you can get your general contractor license, you’ll need to prove you have experience in the field. This includes full supervision of the work, including scheduling subcontractors and being in compliance with building codes. You’ll also need to show you have the experience and skill set needed to run the everyday activities involved in a construction business. The most important skill being field supervision. If you don’t have that, you’ll need to be represented by another person who possesses the necessary know-how and experience to be your qualifying person. Before you go to take your test, contact the International Code Council (ICC) for information about the contracting examinations in your area. Many states have more than one exam that is required to be taken. Some parts of it will focus on your knowledge in general contracting work. Another exam may focus on basic business knowledge. There are fees to take the exams. However, they are not high fees and can range from $20 to under $200 per exam. All exams have a time limit. There is also a certain percentage of the exam (usually around 75%) in order to pass the test. If you want to work in more than one state, you’ll have to go through this entire process for each state. After you’ve taken and passed your tests, you’re not done. There is some information you’ll need to gather and fill out a formal application for your specific state. Fees for applying for your general contractor license will apply. While each state will differ, here are some common information and documents required to obtain your license. This is a great time to organize yourself and your paperwork. You’ll need your company’s name, EIN, and address. You’ll also need copies of your company’s incorporation. You’ll need to know your contracting class and if you have a specialty, to name that. Include a summary of your education, training, and experience. Provide proof you have insurance and you’re bonded. You’ll also need to get certified by the ICC or another approved agency stating you’ve passed all required examinations. You’ll have to provide proof of citizenship and that you’ve successfully passed a background check. Don’t forget to get it notarized. As you’ll soon learn, just because you have a general contractor license doesn’t mean you’ll start booking work immediately. Learning how to run a successful business is ongoing work. We love sharing information that enables business owners to become more productive and successful. Keep coming back to learn how to become more adept at technology, money, and managing your career.